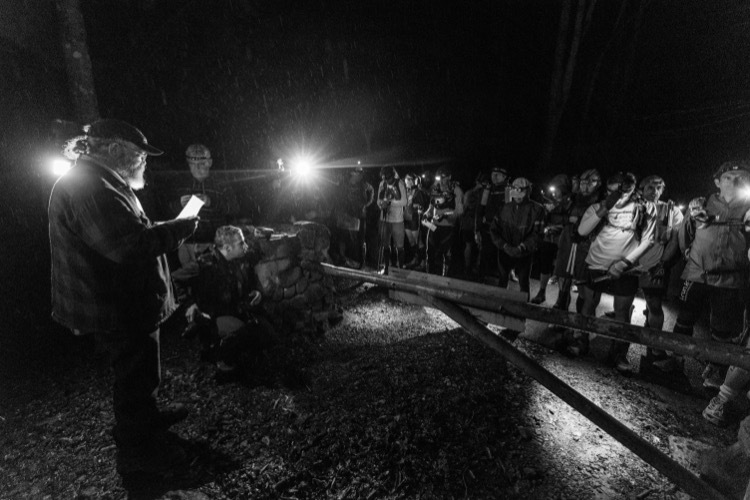 Over the past 30 years, I have been privileged to witness some absolutely astounding performances at the Barkley Marathons. Every finish has been the result of a nearly perfect race, by a supremely prepared athlete. 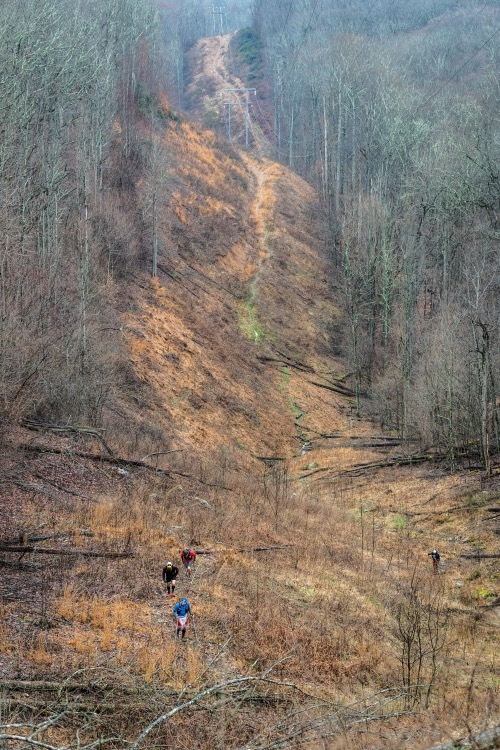 With the benefit of having personally observed these landmark performances, as well as so many other exceptional races over the past 50 years, I started to compile a summary of how these extraordinary feats were accomplished, to serve as a guide for those hoping to complete the Barkley. Along the way, I realized that this was not only a guide for finishing the Barkley, it was a guide for finishing a difficult ultramarathon, period. The Barkley exists more as a symbol, than as a goal. Only a few have the innate ability and requisite skills to realistically hope for a Barkley finish. But, for each of us, there is our own personal Barkley. It might only be that first 50k, but attempting anything at the very edge of our ability requires the same sort of preparation and effort, and provides the same satisfaction and sense of accomplishment when it’s achieved. So, here is how you can finish your own personal Barkley. First, know your opponent. In most sporting events, the opponent is another person. When running an ultra, the real opponent when pushing to the edge of your ability, is the course itself. Mental preparation is just as important as physical preparation. Know the terrain of the course where your Barkley will be held. Where are the hills? What is their general contour (depending on the geology of the area, hills can start gradual and get steep at the top or start steep and round off at the top, or even have numerous false summits)? What are the potential or probable weather conditions? If possible, you should run either on the course itself, or in the same area prior to the event. Being familiar with the course in advance will relieve a lot of mental effort – not just staying on course or worrying about getting lost, but knowing what’s coming up next and how to approach each section. Second, recover on the run. Really difficult races tend to be defined by their terrain. Every challenging course has its signature climbs, around which most runners focus their attention. However, the truth is that an extremely hilly race would spend no more than a quarter of the distance on significant climbs. The crux of the race is not how well you ascend the bad climbs where everyone will be going slow, but how you handle the transition to runnable sections of the course. On the difficult climbs, what happens to us is a physiological “redline” situation. Training for hills can postpone reaching the redline, but it is inevitable that we will come to that point if we are trying to finish the race rather than time out. During the redline situation, our body has to switch from the aerobic to the anaerobic fuel processing, because we exceed our ability to provide oxygen to the muscles. You have undoubtedly heard that humans are designed to run ultra distances. While this is essentially true, what we are not designed to do is race them. Evolution has built in safeguards to prevent us from overdoing it. It was once important that we not exhaust our fuel reserves, and equally as important that we not leave ourselves too debilitated to respond to the next fight or flight situation. So, it’s as natural as drinking when thirsty or eating when hungry, to rest after a redline effort. This is the natural response that we must learn to overcome. At the end of a long, hard, soul-sucking climb, the greatest threat we face is not the possibility of encountering a bear but the time limit. Even though it is our natural tendency to move slowly until we have recovered, we must drop the effort just below the redline and move effectively while recovering. Preparing both mentally and physically to function with an uneven level of exertion or recovering on the run, is essential. In a 2-3 mile race, where contact with your opponent is the primary issue, it’s obvious that a considerable slowdown at the top of a hard climb is counterproductive. It is not so intuitive in a difficult ultra, where time and distance are your primary issues. However, it is equally as easy to lose ground. What you don’t want to do at the end of a difficult climb is chop your strides, walk or even consider sitting down until your breathing returns to conversational levels. Instead, lengthen your stride to relieve the muscle groups that were over-exerted while taking a little longer for your breathing to come back under control. Many training techniques are designed to help learn this skill, although we tend to follow our instincts and negate it. During interval training or fartlek runs, the “easy running” between hard segments is a chance to learn recovering on the run, as long as we don’t walk them. In preparing for your Barkley, do not neglect learning to make good use of the transition between hard and easy sections of the course. Third, persevere. It might seem like this is an unnecessary key because of course you will persevere. That is the whole point. However, if your Barkley is truly at the limits of your ability, perseverance is not a given – it’s a lot more difficult in practice than it is as a vow from the comfort of your recliner. The truth is, no one is immune to quitting. The belief that you cannot quit is a weakness, because it’s not true. Proof is found in Big’s Backyard Ultra, where the field is composed of some of the toughest and most successful ultrarunners from around the world. The course is easy, and the time limit is soft. However, the race has no defined distance. The participants run one 4-mile loop every hour, until only one is left. Eventually all but one will quit. No matter how strong the field, everyone has a breaking point. Observing this race has taught me the secret of quitting. People don’t quit when they can take no more. They quit when they no longer believe they can win. Not believing you can win can take many forms such as a belief that you can’t make the distance or maintain the pace. Whatever belief creates the doubt in your mind, it is not the loss of will that you must overcome – it is the loss of hope. Persevering is not a long-term challenge, it is an immediate one. You must eliminate thought of the entire race, because it is too easy to become convinced that you cannot overcome the entire thing. At any given point, you might not believe that you can overcome all of the remaining obstacles, but that is not necessary. What you must do is fight your way up the next hill. You must not stop running in order to walk, allowing the time limit to slip away. You must not turn in your bib at the aid station. You must start the next loop, instead of asking for taps to be played. You knew that your Barkley would be hard and that’s why you took it on. But in the end, your biggest challenge is yourself. Once the going gets tough, you must face the opponent every step of the way. So there you have them. The secrets to completing the Barkley, or your Barkley. It is not about diet, equipment or your crew. You must learn as much as possible about the course you are facing and prepare yourself to eliminate wasted time. Most importantly, you must maintain the effort even when success doesn’t seem possible. This was a great article. I tend to agree with just about everything said. Obviously, this author ‘gets it’ and has the ability to take us into our own minds and challenges of ultra-running. Thank you, I needed that today. Okay, time to hit the trail, Be Great, everyone be great. Always a great read Laz!